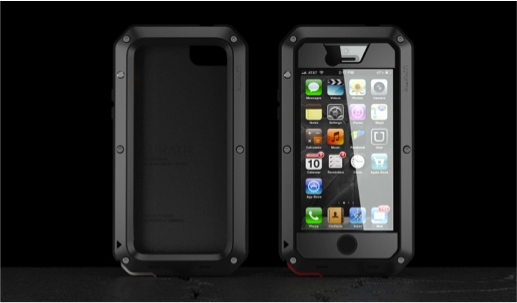 Outdoor Tech, is a design-focused accessory brand blending fashion and technology with the outdoors and action sports. 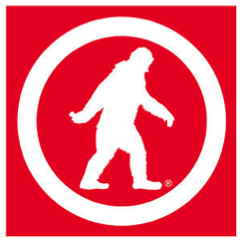 From the Turtle Shell rugged boom box to the Chips helmet audio integration, wireless audio is the signature line of the brand, but it’s the potentially iconic logo, the Yowie®, that is most recognized by diehards and casual fans alike. In 2006, Tegu co-founder Chris Haughey returned from Honduras with a vision to create a for-profit business that would have a transforming effect on the lives of Hondurans. Four years later, not only has Tegu electrified the toy market with the introduction of its magnetic wooden blocks, but, in doing so, Chris and his brother Will have delivered on their commitment to make a lasting difference in Honduras and to its economy. With 100 factory workers and 120,000+ trees planted to date, this toy company is on a roll. Samplr is a new musical instrument for the iPad that works by interacting directly with the audio waveforms. Explore sounds, melodies and texture using the different play modes and create your own music compositions with the gesture recorder. 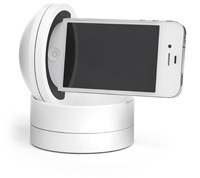 Galileo by Motrr is an iOS-controlled, robotic motion platform for iPhones and iPod Touches with infinite spherical rotation capability. 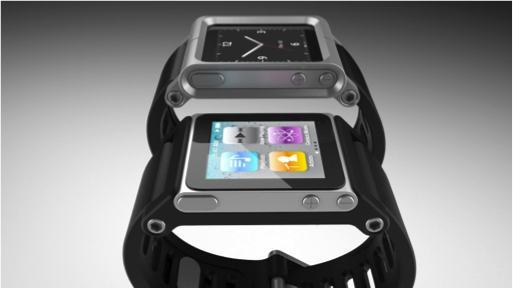 Lunatik burst into the spotlight in November, 2010 when designer Scott Wilson launched TikTok+LunaTik Watch Kits for the iPod nano on Kickstarter, long before the platform was widely utilized by designers. The TikTok project raised a record-breaking $1M in 30 days, launching LUNATIK as a global brand overnight and ‘kickstarting’ the DIY product development revolution for designers and entrepreneurs around the world. Game Golf allows you to see your game, share your game, compare your game and compete like never before. With wearable technology and available-everywhere software you will change the way golf is experienced. 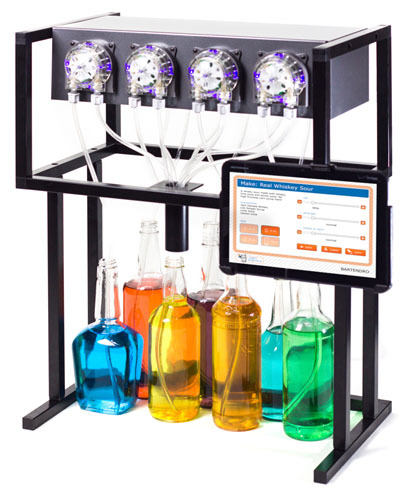 Party Robotics has designed Bartendro, a precision cocktail dispensing machine designed to make drink-making fun and easy to experiment with. A perfect drink is only two taps away. 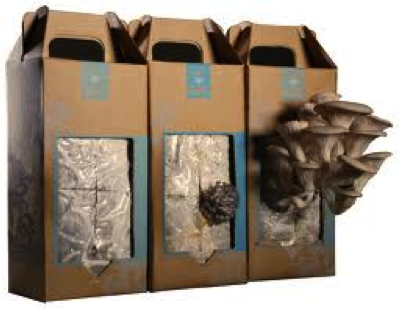 Inspired by the idea of turning waste into wages & fresh, local food, founders Alejandro Velez & Nikhil Arora founded Back to the Roots and became full-time urban mushroom farmers! Radian is a remarkably powerful, yet wonderfully simple smartphone-controlled device that lets you take stunning panning and tilting time-lapses with your dSLR camera or smartphone. Game Stick is an affordable, portable, dedicated device to bring games to any TV. Celluon – the undisputed forerunner in portable input applications, has its headquarters in Seoul, Korea – the country renowned for its technological prowess. Celluon is highly involved in the research and development process, as well as the manufacturing of the projection keyboard module and final products using the 3D Electronic Perception Technology (EPT). Projecteo, the tiny Instagram projector. Automatic, wirelessly connect your car and smartphone to save hundreds on gas and repairs. It also remembers where you parked and calls for help in a crash. Oru Kayak designs origami kayaks. An Oru Kayak is easy to fold out of its compact case. Misfit Wearables is developing highly wearable sensor products and services for wellness and medical applications. Revolights produces revolutionary bike lighting, next generation wheel mounted lights. Start the Prezi to navigate through the Cool Product Expo 2013! Impossible is Producing new Instant Film Materials for Classic Polaroid Cameras. Solar Impulse has demonstrated that a solar-powered airplane can fly day and night without fuel. TouchTunes brings the world’s most innovative technologies to social venues and has become the largest interactive entertainment platform in North America. The company provides entertainment and marketing solutions to over 57,000 bars and restaurants nationwide. Since TouchTunes introduced the first digital downloading, pay-for-play jukebox in 1998, the network has become the largest of its kind with almost a billion songs played in 2012. The TouchTunes mobile app allows users to find locations nearby and control the music experience directly from their phones. Since launch, it has been downloaded over 1.3 million times. Recently, the company re-imagined the jukebox as a multi-application platform that now services the iconic experiences of karaoke and photobooth. Sifteo is the intelligent game system for truly hands-on play. 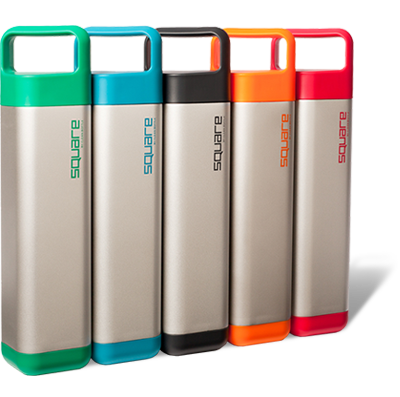 Goal Zero, innovator of easy-to-use portable solar power products. 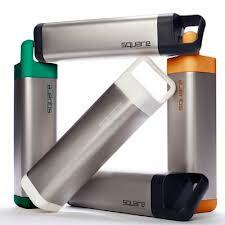 Charge or Power almost anything from sun: phones, laptops, lights, refrigerators. IdeaPaint is a single-coat, roller-applied whiteboard paint that transforms almost anything into a high-performance dry-erase surface. Woo Audio is the manufacturer of high-end audio products. Designed by expert electrical engineers. Revolve Robotics is a San Francisco based start-up company that was founded in 2012 by former Artificial Muscle, Inc. (AMI) founder Marcus Rosenthal and former AMI key system designer and product visionary Ilya Polyakov. It’s product Kubi, allows the remote user to “look around” during their video call by commanding Kubi where to aim the tablet using intuitive remote controls over the web. It’s a simple process that uses precise heat to create perfect dishes. Just put your desired ingredients into a bag, give it an airtight seal, and then rest it in a Nomiku controlled water bath. The resulting food is tender, moist, and unlike anything you have made at home before. Lapka is a tiny, beautiful personal environment monitor that connects with your phone to measure, collect and analyze the hidden qualities of your surroundings. Faraday Bicycles™ is a new company dedicated to revolutionary bicycle innovation and design. What if buttons could morph out of the surface of your device? Tactus Technology has developed a new tactile user interface for touchscreen devices that does exactly that. Tactus provides a new dimension to touchscreens by enabling real, physical buttons that rise up from the surface on demand, and then recede back into the screen, leaving a perfectly flat, transparent surface when gone. Electric Imp makes it simple to bring the Internet to your devices. With connectivity you can empower your devices with intelligence, customization, and convenience – the possibilities are endless. Click & Grow is an easy-to-use electronic smartpot that grows plants without watering and fertilizing. You don’t have to have any knowledge about gardening, instead everything will be taken care by the smart technology. Variable Technologies is a team of gadgeteers, spearheading new technology and developing new gadgets that can add levels of simplicity, function, and wonder to everyday life. Boosted Boards produce wireless remote controlled motorized electric longboards. This skateboard is the world’s lightest electric vehicle. Freebord was started in 1996 by Steen Strand in Palo Alto, CA, while studying for his master’s in product design at Stanford University. Steen wanted to find a way to bring the snowboard ride to the street, and began developing prototypes of a skateboard that could slide, drift and stop just like on snow. He patented his design and began assembling and selling the first “Alpha” Freebords in 1997 out of his garage in San Francisco, CA. Since then, Freebords have evolved to become shorter and lighter, with bindings to hold the rider’s feet while carving and sliding. Joey Roth is an industrial designer who brings simple functionality, honest materials, and quiet beauty to the design of teapots, speakers, and more. Instacube is the living canvas for your Instagram and Facebook photos. Finally liberated from your smart devices, Instacube passively streams the candids of your friends, family and favorite people to you throughout the day. Photos are streamed in real-time, wirelessly at three times the size of the average smart phone. BRD is leading the shift to electric by building better motorcycles – faster, easier, prettier and cheaper than their gas equivalents. Its first product, the RedShift, has been called the first electric to demonstrate a clear superiority over its gas predecessors. ICON specializes in revisiting vintage transportation designs in a modern context, coupling classic styling, timeless utility, and exceptional performance. Founded in 2011, Double Robotics is focused on building beautiful products – like its iPad-based telepresence robot – with a rich user experience seldom found in the field of robotics. The gTar is a digital guitar with a multi-touch fretboard embedded with an RGB LED display, and string sensors embedded in the bridge of the device to detect when a particular string is played. Bridging the link between digital music making and the guitar, the gTar can detect user actions in real time. Like Stanford CPX on Facebook!